Hack the Vote: How Safe Are Elections? In this episode, we watch hackers compromise voting machines and hear from technologists hoping to safeguard democracy with help from blockchain and mobile voting. Can tech protect our democratic process from foreign interference? 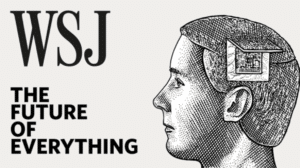 Nordic members Harri Hursti and Ben Dlin are featured in this recent Wall Street Journal podcast on election security. Listen here!